Flexibility Vs Stability in Yoga-How Much Stretch is Too Much? Yoga teachers around the world are becoming increasingly aware that not every student needs to stretch-and that there is a limit to how much flexibility is healthy and beneficial! Join senior yoga teacher and yoga therapist Flo Fenton on this weekend, in which we will learn how to recognize different types of hyper-mobility in ourselves and in our students. How can we work to promote joint stability, and reduce pain-and what practices and cues do we need to limit to illicit safe and sustainable yoga practice? 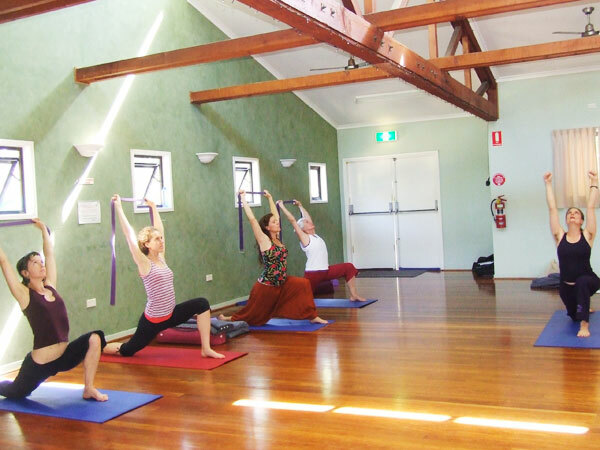 This workshop allows Yoga Australia members to accrue 5 CPD points per day. Participate in a morning practice showcasing the practices and cues that help to promote safe a healthy balance between mobility and stability. Breathing techniques and meditation techniques will also be taught in this session. Lunch – Enjoy a delicious vegetarian lunch in the blissful surrounds of the Pine Rivers Yoga garden, followed by a walk through the woods if desired. Learn about hyper-mobility syndrome-what it is, how it manifests and how to recognize it in students. Then learn practices aimed at bringing stability to the joints of the spine, pelvis and hips. Participate in a morning practice showcasing the practices and cues that help to promote safe a healthy balance between mobility and stability. A look at all of the groups of yoga asanas that are potentially damaging for hypermobile students, and ideas on how to modify and teach these so as to make them safe and sustainable. Then learn practices aimed at bringing stability to the joints of the shoulders, elbows, wrists, knees and ankles. Please bring your own mat. All other equipment provided. 1 Pinedale Road, Cashmere QLD 4500.